Murfeiss Ledgend Collection Outdoor wall sconce in dark weathered zinc finish, features steel construction. Seeded glass shade brings elegance to the home. 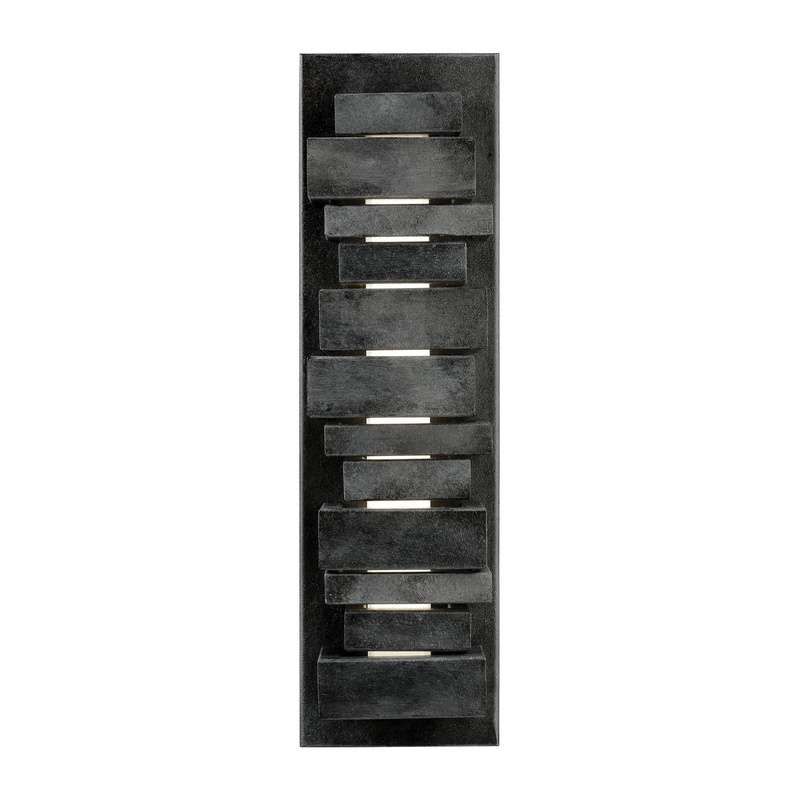 This contemporary/transitional style wall sconce uses one 22-Watt LED lamp. Lamp has color rendering index of 90 CRI and color temperature rating of 2700K. Lamp offers 1600-Lumens of bright light output. Integrated socket lamp has voltage rating of 120-Volts. Lamp has average life of 30000 hours. Wall sconce measures 17-1/2-Inch x 5-Inch. Wall/ceiling mountable sconce is great choice for your do-it-yourself project. It comes with 8-Inch lead wire for hassle-free installation. Wall sconce is cETL listed and ADA compliant.